Save your account information in encrypted file with iCloud storage support. Is there a better alternative to Encrypter SketchBook? Is Encrypter SketchBook really the best app in Security category? Will Encrypter SketchBook work good on macOS 10.13.4? 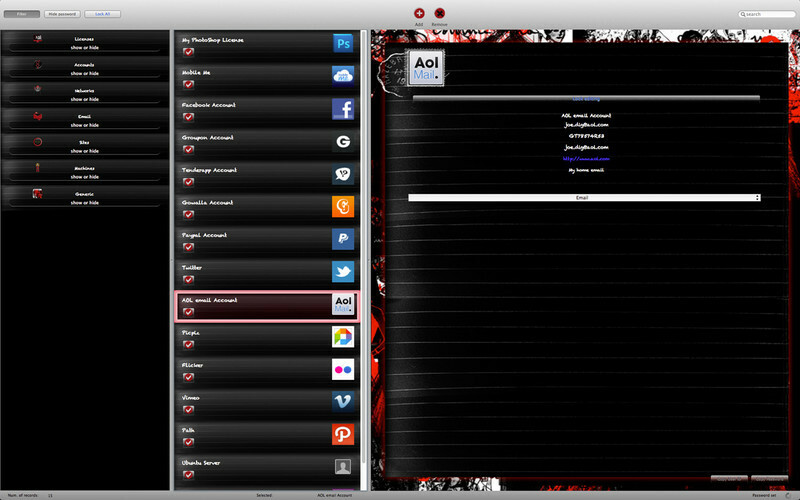 Encrypter SketchBook lets you save your precious account informations in a encrypted file. This is achieved using Apple default encrypting algorithms (AES 256) as a guarantee of reliable efficiency. If you need to secure your account informations and take them with you that's the right app! You can save anything you want the security is guaranteed. AES is the first publicly accessible and open cipher approved by the National Security Agency (NSA) for top secret information. 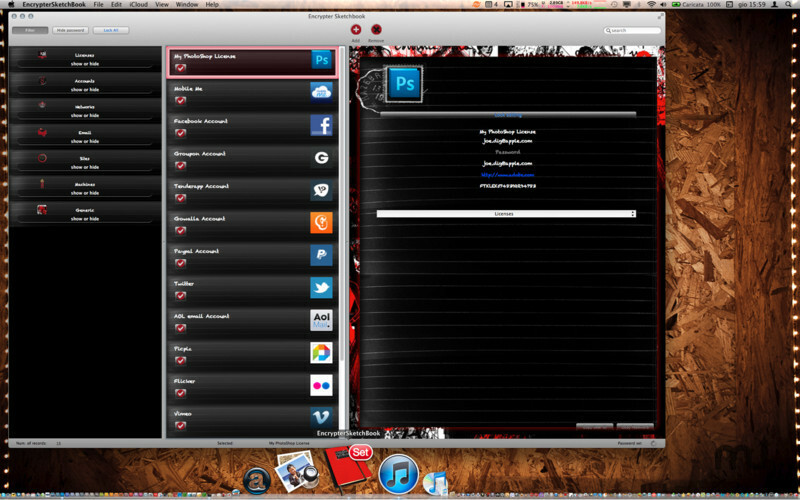 Encrypt SketchBook works perfectly on OS X 10.7 Lion and enforce iCloud storage support. Fixed some issues with user interface. New support references and help. Fixed some issues with the auto close feature. Encrypter SketchBook needs a review. Be the first to review this app and get the discussion started! Encrypter SketchBook needs a rating. Be the first to rate this app and get the discussion started! Using Dekripter you can also keep your data with you on your iOS devices. Encrypter SkecthBook has been cataloged as a 5D992C (ECCN number) product by the U.S. Department of Commerce, Bureau of Industry and Security.